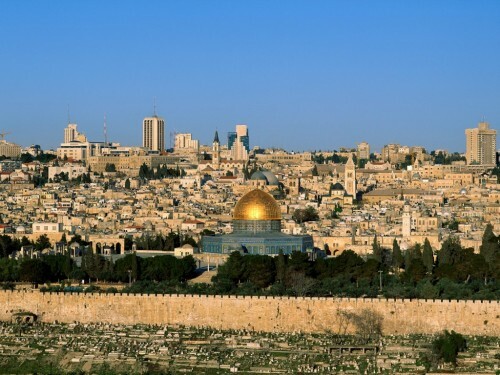 Cheap flights to Israel: Berlin-Tel Aviv for only €79! Easyjet now offer cheap flights to Israel for Winter 2014/2015. 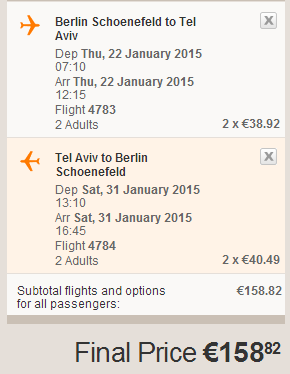 Return flights from Berlin to Tel Aviv are available for only €79! This price includes cabin luggage up to 56 cm with no weight limit. Travel dates are mostly in November. Tel Aviv is quite expensive city as well as the whole country. Compare all booking sites at once with our accommodation search engine, find the best prices and don’t waste your money! If you prefer discovering Israel with your own car rather than with public transport it’s a great idea which will give you much better flexibility. Renting a car is not expensive so check the rates to get best prices. « Cheap flights to South Africa: Prague-Johannesburg for €476!